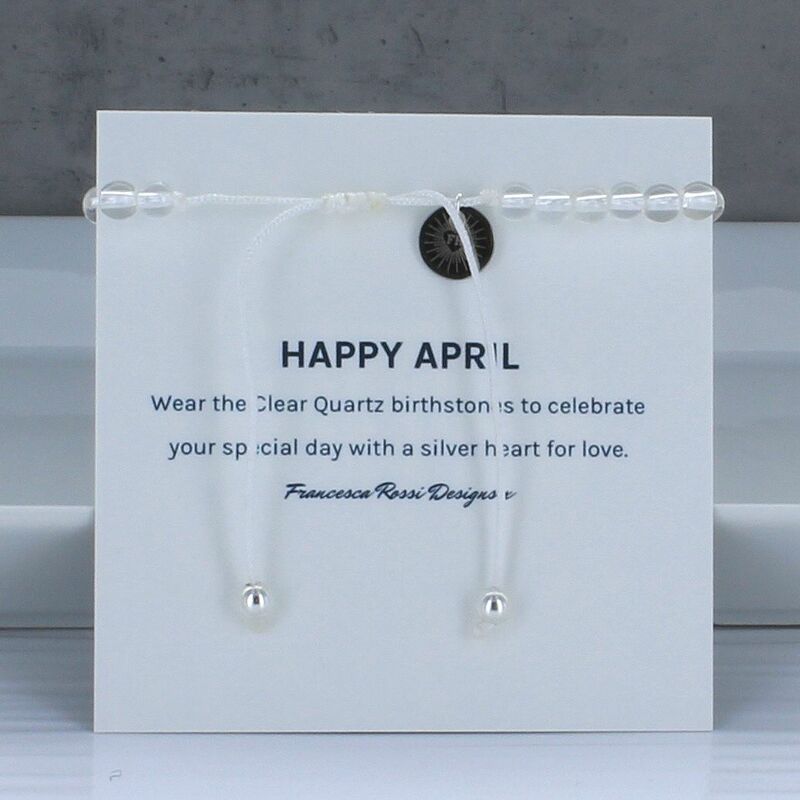 A beautiful Clear Quartz April birthstone birthday bracelet completed with a sterling silver heart and beads. 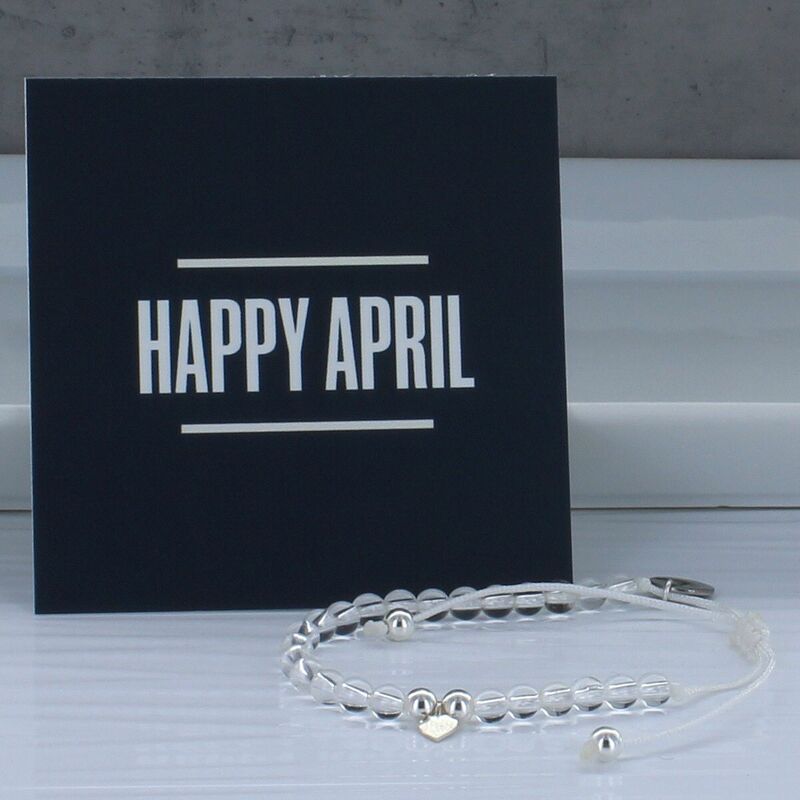 The April friendship bracelet is handmade with natural Clear Quartz stones which are the April birthstone. Clear Quartz is also thought to purify and expand the aura. The bracelet has a sterling silver heart with sterling silver beads to add a touch of love for the birthday recipient. 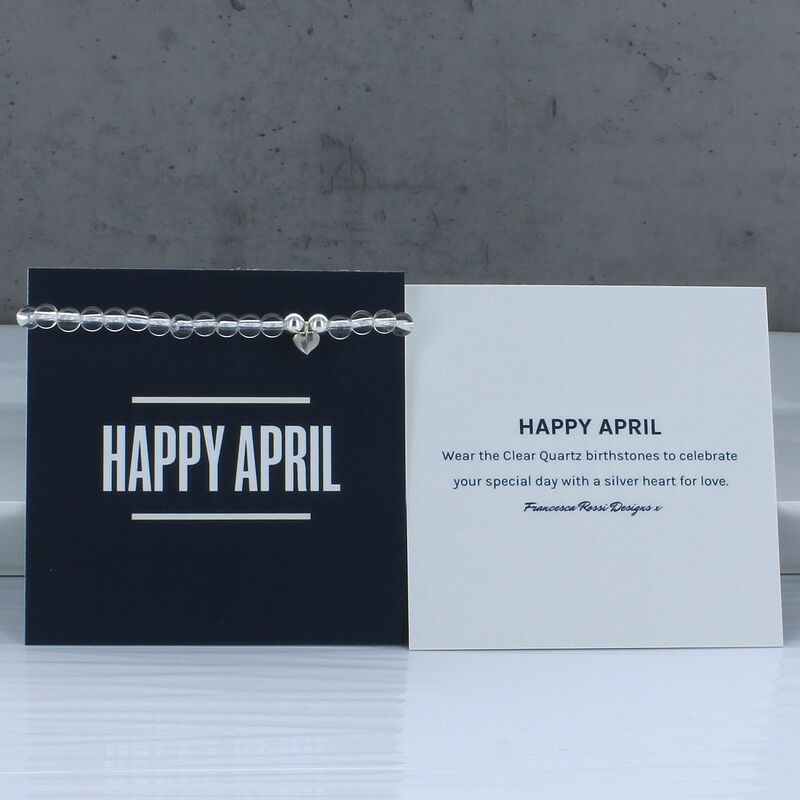 Each bracelet is presented with a "Happy April" card with a short explanation on the reverse side.